Entrepreneurship can only be learned by doing. In the Founder Institute, you won't "learn" how to build a business. Rather, you will build your business alongside Washington DC's top startup experts using a proven, structured process that has helped some of the world's fastest growing companies raise over $800M in funding. Our 14-week, in-person program includes weekly sessions where you receive expert training and feedback, and then a series of challenging business-building assignments, office hours, group meetings, and partner discounts to help you make progress each week. See the schedule for the Washington DC Winter 2018 program below. The Final Application Deadline for the Washington DC Winter 2018 program is 2017-12-22, and you can apply to the program at FI.co/join. Welcome and meet your peers. This is where it all begins. During Orientation, we will review the Founder Institute program structure, curriculum, tools, and requirements. You will review why you have pursued entrepreneurship, and how you or your team will use the program to push your business or business idea forward. During Orientation, Founders and teams will be segmented into the “Standard Founder” or “Advanced Founder” assignment tracks, depending on the stage of their business or business idea. Progress - If you have started working on one or more ideas before the program, outline each of your ideas and any testing or progress made to date. Hotseat Pitch - Prepare a one minute verbal pitch for the weekly “Founder Hotseat”, where you present to Mentors during the sessions. Start with our one-sentence pitch template, and if you do not have a final idea yet, describe yourself and a field that you are passionate about and uniquely qualified to build a business around. Co-Founders - If you are looking for a Co-founder, create a basic description of what you are looking for, and this will be shared with the rest of your cohort. 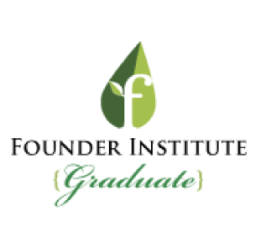 Program Goals - Outline the monthly objectives you or your team want to achieve with your business while participating in Founder Institute, including the specific support you feel that we can give you to succeed beyond the curriculum. Key Performance Indicators - Outline the specific metrics or key performance indicators (KPIs) that you are currently using to track success. Analyze the validity of these metrics, and create a plan to share updated metrics and progress with your Directors every week in the program. Hotseat Pitch - Prepare a one minute verbal pitch for the weekly “Founder Hotseat”, where you present to Mentors during the sessions. Start with our one-sentence pitch template, followed by why you are uniquely qualified to pursue the idea, and any progress that you’ve made to date. In this session, you’ll hear from a panel of experienced Mentors on how to develop startup ideas, how to properly pitch your ideas and strategies, and how to analyze your existing ideas or business. Founders will also present their startup idea to the Mentors and receive in-depth feedback on how to improve their idea and pitch. Ideation - Catalogue the ideas that you are interested in pursuing, or explore different business opportunities in your areas of interest or expertise. Customer Problems - Translate three of your top startup ideas into customer problems that you will explore turning into a business. Initial Interviews - Using our templates, interview at least 15 people that have knowledge of the customer problems or may be potential customers themselves. Market Research - Utilize our market research template to collect accurate and available market information on the customer problems you are analyzing. Customer Problem - Outline the main customer problem and any alternative customer problems that you are trying to solve, and get feedback from your peers in the program. Customer Interviews - Using our templates, interview at least 5 people that have knowledge of the customer problem or may be potential customers themselves. If you have done similar interviews in the last 60 days then outline this feedback. Identify Unknowns - Create a step-by-step strategy to thoroughly validate that the main customer problem exists and fill any required gaps in your customer knowledge. Plans - Describe what your business will look like when it has $100 million in annual revenues, including the vision, culture, and main revenue stream, and write at least 5 steps that need to happen for your company to reach that goal. Test your assumptions with customers. In this session, you’ll hear from experienced Mentors on how to validate your key assumptions, interview potential customers effectively, and interpret their feedback. Founders will present their progress to the Mentors to determine if the are pursuing a scalable business with a clear and actionable customer problem. Key Assumptions - For your ideas, identify at least three key assumptions that you are making for your customer problem or problems to be real. Customer Interviews - Develop a longer series of customer interview questions based on your initial interviews and key assumptions, with at least ten open-ended customer interview questions for each customer problem. Customer Archetype - Use our guidelines to develop or improve an initial customer archetype for your ideal target customer. Landing Pages - For each remaining customer problem, develop or improve a professional landing page targeted to your initial customer archetype, and start collecting email addresses to receive customer feedback. Customer Archetype - Use our guidelines to create or update a detailed customer archetype of your target customer, based on either your existing customers or research. Validation - Refine the list of “unknowns” you previously developed, pick at least two of the top items, and develop a test to empirically collect evidence and draw conclusions over the next two weeks. Revenue Interviews - Interview customers about the pricing of your revenue model, using three different revenue models/ pricing schemes. Confirm your existing model or select a new one based off these interviews. Interview Competitor Customers - Identify customers of competing products or solutions and encourage them to switch to your solution, ideally securing a letter of intent (“LOI”), or developing an ongoing relationship for feedback. Develop a viable revenue source. In this session, Mentors will discuss how to sustain your company before receiving financing or revenue, identifying the most lucrative revenue source for your business, testing different revenue sources with your target customers, and more. Founders will also continue to share their pitch and revenue model to Mentors for feedback and continued refinement. Customer Problem - Select one customer problem to pursue in the program that has the greatest chance to generate significant revenue. Revenue Models - Narrow down that problem to three potential revenue models, and thoroughly analyze the positives and negatives of each model. Mockup - Create a mockup of the solution to your one customer problem that has sufficient detail to impress a target customer. Pitch Deck - Use our templates to develop a first draft of a three minute long pitch deck, based on the feedback, concepts and flow that have resonated from your Hotseat pitches. Expert Interviews - Speak with three financial people who have experience in a similar industry to your customer problem, and get their insights and opinion on your revenue model. Key Performance Indicators - Based on your research thus far, identify the final key metrics that will impact your ability to secure revenue. Discuss these with your Directors and peers. Sales - Encourage a number of people that resemble your customer archetype to buy your solution (or sign up for your service), and report the amount of revenue (or growth) that you have secured. Product Development - Refactor your plans to prioritize the release of a solution that will allow you to generate initial customer revenue and validate your riskiest assumptions. Create, design and launch a brand. In this session, Mentors will analyze your existing names and branding, and discuss how to develop a good name for your business, how to develop an enduring brand, and the basics of great user interface design. Founders will also share their pitch and existing branding to Mentors for continued feedback and refinement. Competitor Branding - Analyze and compare the name and branding of at least 15 companies with a competing offering, in a related industry, or with a similar value proposition in a different industry. Naming Words - Brainstorm at least 50 short nouns and adjectives that evoke the characteristics of your main customer problem. Name Brainstorming - Use combinations of your naming words to develop a series of business names for the review of your peers and Directors. Name Research - Research the availability of the combined words as a domain name and list the ones that are most available. Branding Expert - Leverage the FI Network to set up meetings with industry experts about your final name, your customer problem, archetype, and any existing brand materials for feedback. Close Sales - Follow-up on your previous sales activities, and measure the time allocated, conversion rates, financial spending and other metrics for each activity. Your goal is to convert new sales and show quantifiable traction before the Mentor Idea Review. Design Specification - Evaluate the design and branding feedback from your peers, Mentors, and expert meetings, and begin fixing the issues by creating a Design Specification. If you don’t have an internal design resource, find someone that can complete the job in 2 weeks. Idea Review Pitch Deck - Finalize your 3-minute pitch deck for the Mentor Idea Review, using our templates and guidelines. Practice the pitch at least five times with your peers, and revise it based on feedback. Upload a final video on the assignment page. Receive expert feedback to improve. This is the first big checkpoint in the program to determine each Founder’s progress. During the Mentor Idea Review, every founder will present their customer problem and progress to a panel of FI Mentors for extensive review. Founders will receive a rating, and receive feedback on the validity of their idea, their customer problem, market size, the soundness of their revenue model, and more. After the Mentor Idea Review, all assignments are Standard, and Founders receive a larger number of custom "Special Assignments" based on their specific challenges. Corporate Materials - Update your 3 minute pitch deck based on the Mentor Idea Review Feedback, and include a new and updated one page executive summary using our template. Law Firm Identification - If you don’t already have a law firm, identify at least two local law firm candidates that have experience working with startups, and recruit one for your startup using our process and guidelines. Advisor Candidates - You will create an advisory board in the next 5 weeks, so start by developing a target list of new advisor candidates based off you identified needs and gaps in knowledge/ connections. Advisor Outreach - Leverage the FI network to get introductions to your targets where necessary, and follow our templated process to make progress on your advisory board. Sales Follow-up - Continue to work on securing sales or commitments for revenue. For B2B solutions, get as many contracts or letters of intent as possible. For B2C solutions, aggressively your revenue (or submitted information indicating they will pay you). Sales Plan - Based on the needs of your financial model and sales follow-up research, develop a plan to build and grow your revenues over the next three months. Financial Model - Develop a simple financial model based on our template that focuses on expenses (“burn”) to understand your cash needs. Develop a revenue forecast for 12 months and factor in timing considerations from your sales follow-up work. Business Calendar - Create a calendar to track all of your relevant business due dates, regulatory filings, and other obligations and related events. Set up the company and legal framework. In this session, startup lawyers and CEOs will explain various legal agreements, startup legal components (such as equity), how to protect intellectual property, the best practices for managing a law firm, and more. As usual, Mentors will also provide Founders feedback on their startup pitch and progress, ensuring that you can better explain what your company is to your growing audience. Legal Concepts - Review our Legal Guide in detail to fully understand all critical startup legal components, including granting equity, vesting equity, granting options and issuing common stock versus preferred stock. Capitalization Table - Develop or improve your capitalization table (“Cap Table”) that shows the ownership structure of the business, using our template and guidelines. 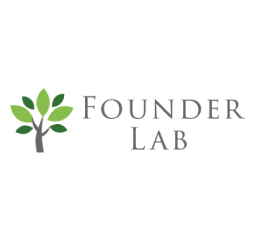 Finalize Co-Founder Legal (if any) - Create a list of any co-founders, co-founder candidates or founding Team Members that you have for your Founder Institute company, and begin the next steps in formalizing the relationship. Advisor Interviews - Meet with or call each of your advisor candidates for at least 15 minutes, discuss the customer problem and progress, and narrow down to a few top advisor candidates. Law Firm Engagement - If you don’t already have a law firm, meet with your law firm candidates and sign an “engagement letter” with your chosen firm. Corporate Formation Agreements - If you don’t already have a suitable corporation, secure all of your corporate formation agreements, including bylaws or similar documents, which govern how the business conducts itself. Legal Templates - Secure standard legal templates from your law firm, including a mutual non-disclosure agreement, an intellectual property assignment agreement, a basic employment agreement, a basic freelancer agreement, and a basic advisor agreement (such as https://fi.co/FAST). Bonus Pool - Prepare to join the Bonus Pool, and send your law firm the necessary agreements and request their help to properly fill out the required fields. Finalize a go-to market plan. In this session, Mentors will discuss prioritizing your go-to market initiatives, evaluating different models for growing your startup, developing marketing messages that resonate with your target customers, and more. Mentors will also provide Founders with feedback on their go-to-market plans and progress. Alternatives - Identify two alternative models (markets or “pivots”) for your go-to-market solution to discover the most lucrative market opportunity. Interview at least 2 customers for each alternative. Advisor Follow-Up - In the next Step you will finalize advisors, so begin finalization meetings with your top candidates, and set up test Advisor Test Projects where necessary following our templates. Marketing Tools - If you have not already, implement standard marketing tools on your site and channels (including analytics, email management, and A/B testing solutions). Test Marketing Messaging - Write at least three separate marketing messages for your solution, and A/B test them using landing pages with at least 100 engagements each. Customer Acquisition Channels - Identify at least five initial or new major marketing channels to acquire customers that are appropriate for your solution. Conversion Rate - Begin testing at least three of your new customer acquisition channels, pushing as much traffic through them as possible to evaluate their comparative conversion rates. Unit Economics - Research any data on the standard Cost of Customer Acquisition (CAC) and standard Lifetime Value (LTV) for your industry and segment, and compare and analyze against the metrics you have collected thus far. Growth Goals - Set ambitious customer acquisition goals for both during and after the program, which should include a quantifiable increase in the top of the funnel from the Steps to Revenue, as well as an increase in the bottom of the funnel, which are paying customers. Develop a plan to build your solution. In this session, Mentors will discuss best practices in product development and team management to release a world-class solution, prototyping your solution, speaking with your target customers and to get feedback, and more. Mentors will also provide Founders with feedback on their product’s development and progress. Intellectual Property - If you have not already, secure and protect the intellectual property for all of the work done to date. Examine the need for patents, if applicable, following our guidelines. Solution Goals - Evaluate the current state of your solution, and outline the three solution goals that you would like the next product release to solve for your target customers over the next year. Project Team - If you have not already, organize the skills and roles needed to execute on your solution goals, whether using existing team members or supplementing through hiring or outsourcing. Product Roadmap - Develop a first or updated product roadmap, using our guidelines, in order to meet your solution goals with your project team. Project Plan - Fine tune the schedule of releases in your product roadmap to be as simple as possible to each test one hypothesis of the business, using our guidelines. Development Tools - Research and secure any development tools, technologies, or systems that you will need to create your solution and to manage the process. Next Release Plan - Record the details about your next release, and describe the timing for its completion in a way that can be easily communicated to team members, partners, and other stakeholders in the business. Hotseat Pitch - Prepare a five minute presentation for the Mentor Progress Review that includes sufficient information to enable Mentors to evaluate your progress and plans. Review your progress with CEOs. Similar to the Mentor Idea Review, the Mentor Progress Review is the second major test in the program. In this session, Founders will focus on presenting their progress and traction to a panel of Mentors for a detailed review. Mentors will evaluate Founders based on their progress, their go-to-market plan, the company’s scalability, and more. Investor Pitch Deck - Create an expanded, 12-slide pitch deck incorporating any feedback from the Mentor Progress Review, using our templates. Growth - Make progress on your growth goals, and examine or adjust how your strategy and the system to keep yourself accountable is performing. Product - Make progress on your next product release, and outline and address any of the setbacks that you have faced with your project team. Hiring Needs - Score the progress of each member of your project team on a 1 to 10 scale, including yourself, and set up plans to improve those that are struggling. Finalize Advisory Board - Set up your advisory board with startup, industry, technology or marketing advisors, and set up a one hour conference call with all of the them, which will be your first quarterly advisory board meeting. Bookkeeping - Start regular bookkeeping processes if you have not already, and implement tools, accounts, and monthly processes to manage it moving forward. Accountant Interviews - If you don’t have an accountant already, begin interviewing potential organizations using our processes. You will need a startup-friendly accountant to understand your unique needs. Financial Model Update - Review and update your financial model with the work done to date. Adjust the revenue projections based on your growth thus far, and evaluate the need and requirements for external funding. Start recruiting a world-class team. In this session, Mentors will discuss how identify the roles needed to build a world-class company, how to develop a strategy to recruit, board and retain the best people for the roles, and more. Founders will also receive feedback from Mentors on their team plans and product progress. Outsourcing - Identify what roles you should outsource, and use your recent release work, sales, and program work to update or execute your hiring needs. Candidates - Search for candidates to hire (including Co-Founders) by identifying everyone that you know who is appropriate, or leveraging the FI network, to fill the top two or three roles you are not planning to outsource. Hiring Process - Develop a hiring and onboarding process using our guidelines to add team members into your organization, and begin executing on the process. Test Projects - Develop at least one test project for each of your top two or three roles, which should create opportunities for a credible candidate to demonstrate their skills. Advisor Review - Arrange a meeting or phone call with at least one of your advisors to discuss your outsourcing and hiring work. Present everything that you have done, and incorporate their feedback into your planning. Recruiting Outreach - Based on the feedback from your advisors, create a list of events and activities that you will attend or undertake each week for the next three months to identify new candidates for the top two or three roles. Time Allocation - Meticulously outline your “founder’s schedule” by allocating weekly blocks of time to address your core business activities, providing you with uninterrupted time to work on each activity. (Optional) Founding Round Setup - If you don’t have sufficient capital to run the company for the next few months, then follow our guides to start a preparing documentation and research for a “Founding Round”. Focus your business on growth. In this session, Mentors will discuss such topics as defining success for your company, the various tactics to grow a business, setting growth goals and milestones, communicating your startup’s growth progress and setbacks with stakeholders and advisors, and more. Mentors will also also provide Founders with feedback on their current growth and growth strategy. Growth Plan Update - Review the performance of your growth goals and adjust your growth plan to improve your performance and accountability. Sales - Push yourself for a second week to close new revenue or users, which may be signups, payments, a signed contract, a pre-payment or a signed letter of intent. Growth Tactics - Work with your working group and advisors to brainstorm 15 new ideas to increase the top of your funnel and to accelerate the closing of sales, and provide a bulleted list of these Growth Tactics. Pivot - Consider a pivot if you are not meeting your growth goals, sales, product or hiring progress targets. If you decide to Pivot, schedule a call with one of your Directors to discuss your proposed pivot in the business and do the same with your advisors. Product - Work closely with your project team to make substantial progress on your next release, and work to ensure that each release takes about two weeks to complete. Hiring - Review all of the candidates that have come through the various recruiting outreach channels and other activities, and identify the most effective channels. Post-Program Schedule - Work with your cohort on a monthly meeting schedule where you will continue to meet, provide updates, and share learning on your progress. (Optional) Founding Round Follow-ups - Build your pipeline of potential “Founding Round” investors, meeting and securing commitments from at least one person. Prepare to fundraise from investors. In this session, Mentors will cover numerous topics related to fundraising, including different fundraising options, what different types of investors expect to see with respect to progress on team, product and traction, and more. Mentors will also provide Founders with feedback on their startup pitch that they can expect to hear from investors. Minimum Victory Condition - Work with your Directors to set up a “Victory Condition” to achieve before the “Impact Deadline” (three months after graduation), and add it to your business calendar. Advisor Strategy - Set up a call with each of your advisors and briefly review your “Victory Condition”, the funding strategy, hiring plan, sales plan and product plan. Use of Proceeds - Examine the capital needs of the business, and extend your financial model to project revenues and expenses for a total of 24 months from now. Final Investor Pitch Deck - Refine your investor pitch deck, and update it with all of your work to date, including details from your various plans. Test the presentation on peers and Directors and upload it to the FI site for review. Target List - Identify local Angel Investors and Seed Accelerators, ignoring Venture Capitalists and Seed Funds. The Target List should include at least 100 local angels, 25 regional and 50 global seed accelerators, using our guidelines. Event List - List upcoming pitch events, including events where angel investors will be attendance that you identified for the target list, and during the events, look to make connections with these angel investors for future use. (Optional) Founding Round Close - Work through your investor pipeline, making sure that each interested party is either “Soft Circled” (verbally committed to invest) or “Hard Circled” (investment has been received). Start filling and closing the Founding Round. Graduating from the Founder Institute is an honor. The program is challenging, and the curriculum is demanding. In this final session, you will celebrate graduating with your peers, friends and family, as well as select Mentors who will discuss the important leadership qualities needed to run a successful company. 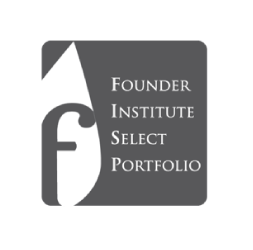 You will also learn about all of the post-program resources and assistance that the Founder Institute provides. Accountability - Create a plan to keep yourself and the business accountable to your graduation plan and growth goals after the program. Leadership - Analyze how you have grown as a startup leader during the program, highlighting the positives, negatives, and in which aspects you need to grow in the future. Vision - Review your original vision for the business, and describe why you are still excited to pursue the vision, and why your team and strategy are aligned to achieve it. Perseverance - Develop a system to press forward, stay focused and deliver value in the dark times inevitable to building a lasting business. Prioritization - Finalize your system to prioritize complex projects in equally complex situations, as well as your weekly routine and “Founder’s Schedule”. Celebration - In addition to the FI celebration, plan a private group celebration with your peers. As a startup leader, it is important to celebrate all milestones and successes. The 3.5 month Founder Institute semester is just the beginning. We have developed extensive support programs and resources for our Graduates that far exceed any other comparable startup program.